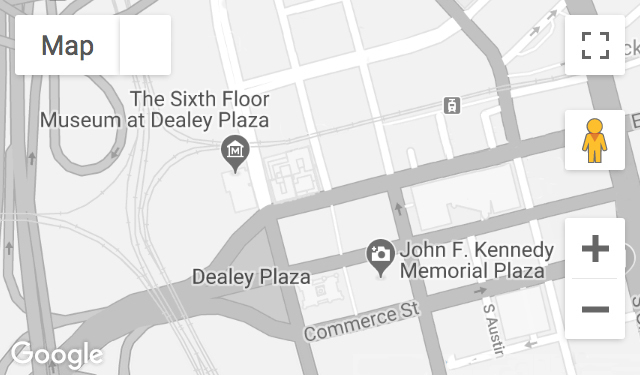 A summer professional development workshop at The Sixth Floor Museum at Dealey Plaza that explores history and art as a therapeutic tool for healing is generating keen interest among many North Texas educators this summer. On July 17, the Museum, which chronicles the assassination and legacy of President Kennedy, will welcome more than 50 educators from the area for “The Kennedy Assassination and the Arts: Coming to Terms with Public Loss through Personal Expression.” The daylong interdisciplinary workshop will examine how artists expressed their own and the country’s grief and confusion in the aftermath of President John F. Kennedy’s assassination. Sessions presented by Museum staff, with activities conducted by Amanda Blake from the Dallas Museum of Art, Jamie Allen from the Dallas Symphony Orchestra, and Pulitzer Prize recipient Karen Blessen of 29 Pieces, will further explore how art has and can help the public express their feelings following tragic events. “The workshop is unique in that it combines multiple disciplines and activities to give educators a set of tools for helping students deal with trauma, loss and tragedy,” said Nicola Longford, executive director at The Sixth Floor Museum. “We are pleased to be able to build upon the Museum’s community partnership initiatives and together present a workshop that aligns well with the Museum’s institutional goals of preserving not just President Kennedy’s story but the response the assassination continues to evoke,” Longford said. Workshop participants will have an opportunity to tour The Sixth Floor Museum’s exhibition, “John F. Kennedy and the Memory of a Nation,” and view the Museum’s collection of oral histories, photographs, artifacts, documents, books and films that examine expressions of art, music, poetry, theatre and literature from the 1960s. Simmons said this concept of using art to teach history or within a healing process appears to have enticed many workshop registrants. “The interdisciplinary aspect of the workshop is very attractive to educators who are trying to fulfill multiple curriculum requirements,” she said. At the conclusion of the workshop, educators will come away with a set of poetry, music, drawing and literature-based activities they can use in the classroom. Registrants are from all points of the Metroplex and represent a variety of disciplines: social studies, English, government, art, world cultures and ESL. “The Kennedy Assassination and the Arts” workshop also offers continuing professional education or gifted/talented credit hours, required by most school districts. And thanks to its interdisciplinary approach, the workshop qualifies for Texas Education Agency credit hours. A small fee of $25 is being charged to cover materials costs. The workshop is full and cannot accommodate late registrants.